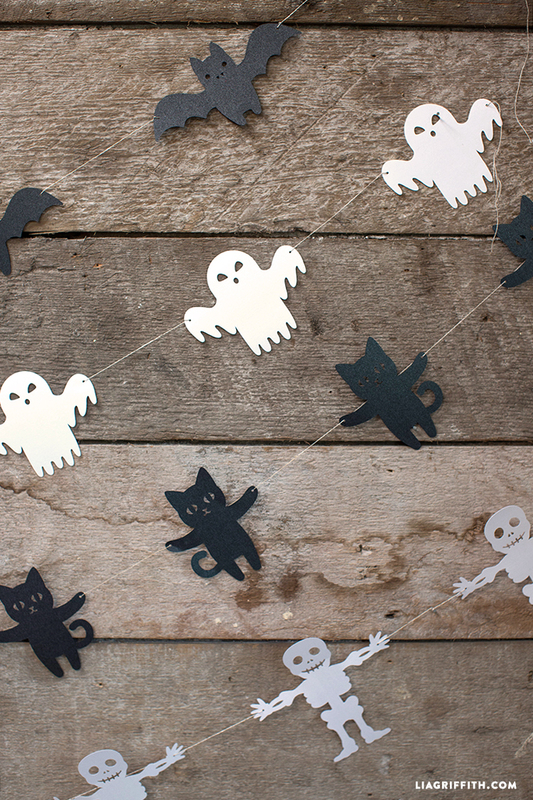 Paper Halloween Garland -make this & 100's more Halloween decorations! 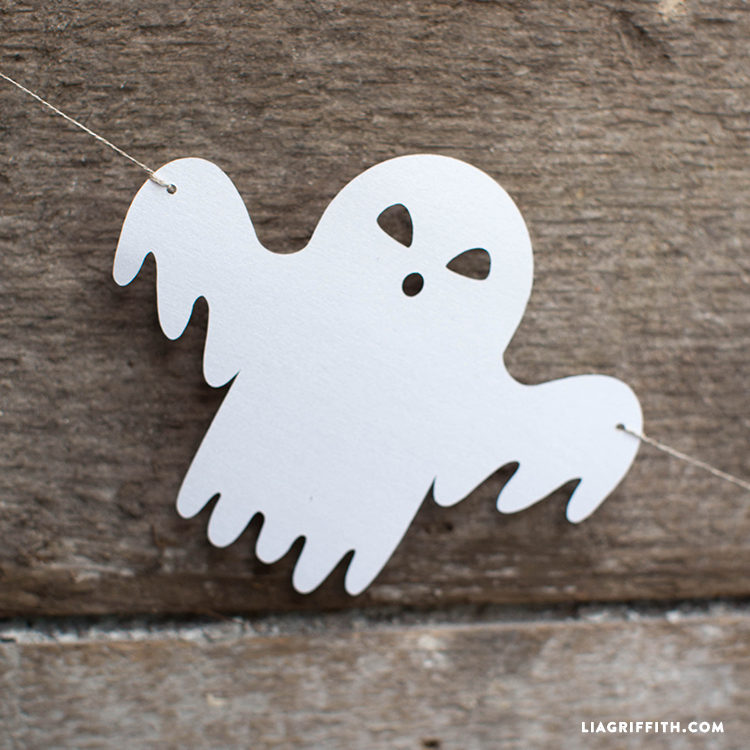 Are you looking for simple DIY Halloween decorations that can be made quickly and inexpensively?! 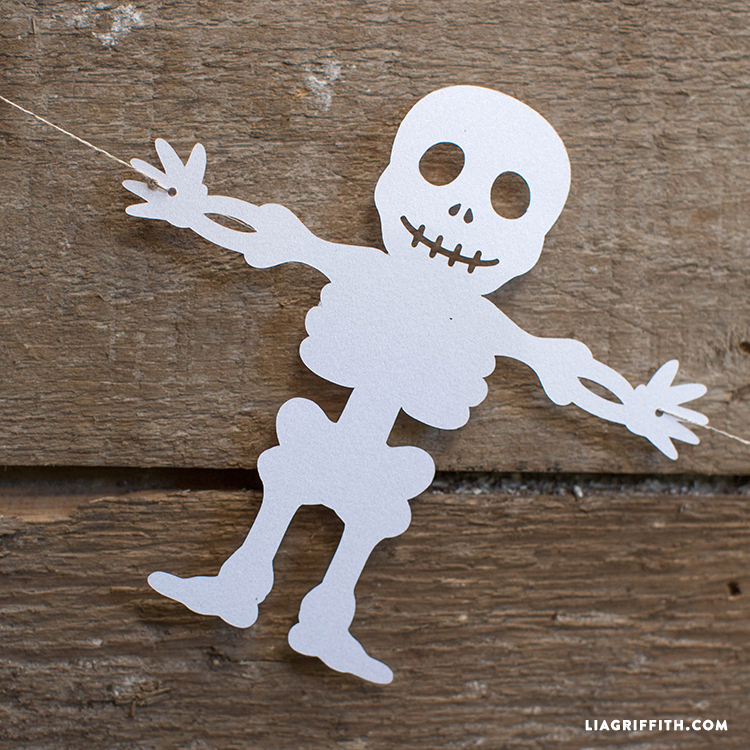 Our paper bats, ghosts, cats and skeletons can be printed and cut using a personal cutting machine. Or you can download the PDF below and cut by hand. 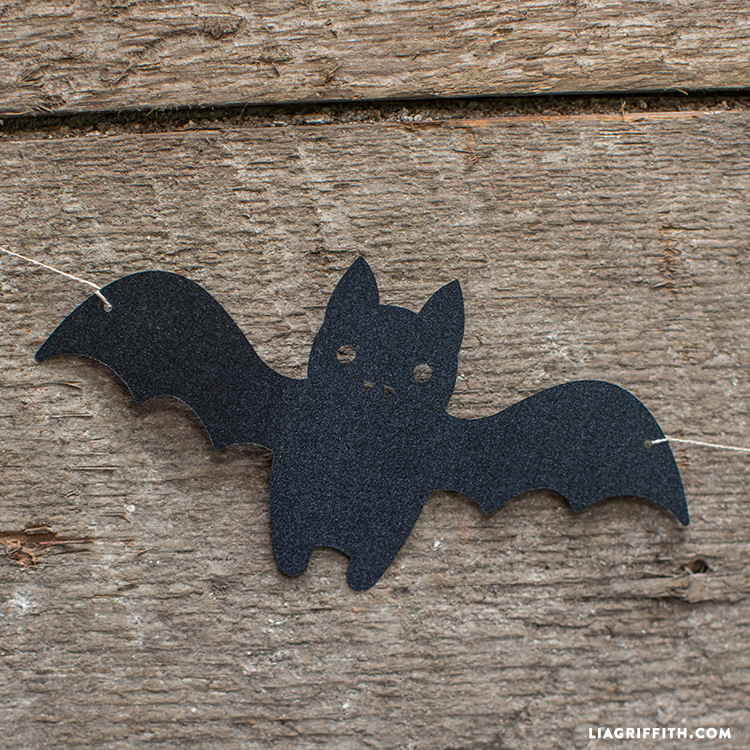 Once cut, you can use these decorations as garland, like we have below, or as cute Halloween candy huggers. With membership, you can download these and 100s more seasonal DIY patterns today! I always love garland for my party decor as they can make a big impact with little effort. These spooky, but oh so cute, characters are just the ticket for your Halloween bash! We have them in two download options—a PDF for cutting with scissors and an SVG cut file for those who have a cutting machine. 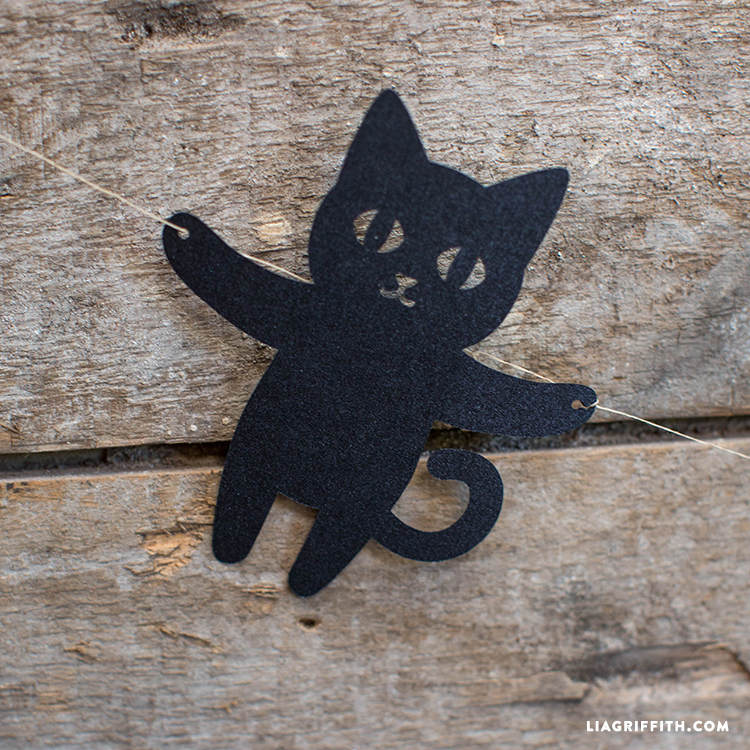 We like to use frosted paper or cardstock for these simple Halloween decorations. Stick to traditional colors or mix it up with some brights or glitters! If you have a cutting machine, you could also re-size these to use in a number of ways. The options are limitless! Once you have cut your paper Halloween decorations, simply string them together with twine in a mix-and-match style or in rows. You can use a small hole punch to punch holes for the twine. We also like to use these paper characters as Halloween candy huggers. You can find that tutorial over this way. 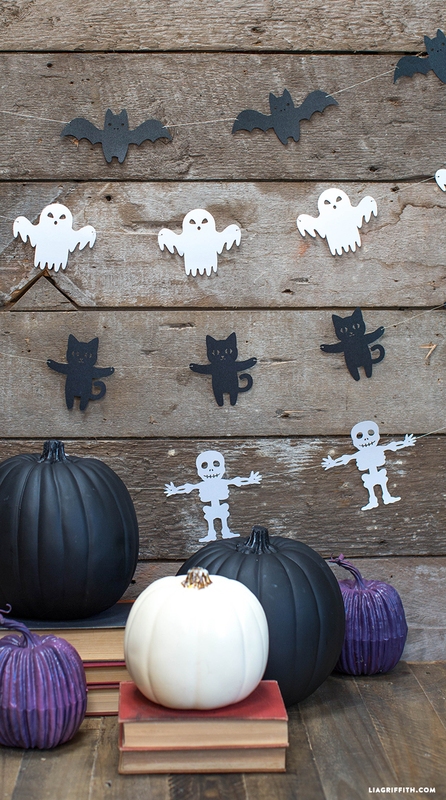 I am sure you can think of another dozen ways to use these paper cutouts for your Halloween decor. Let’s us know how you’d like to use them in the comments below! 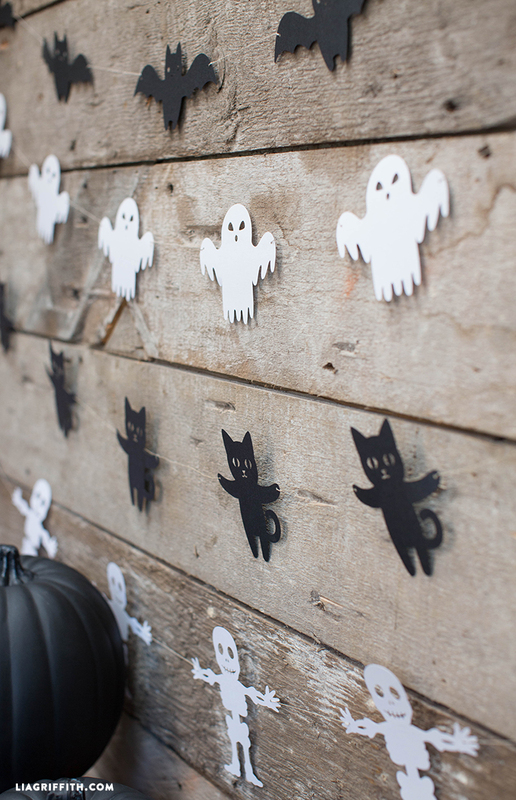 And make sure to share photos of your Halloween DIYs crafts with us using the hashtag #MadeWithLia. Yay, love to hear that! i was thinking about getting a cuttlebug machine as it’s inexpensive and i could see if i like doing something like this. do these svg cut files work with this machine? No, unfortunately the Cuttlebug does not work with svg files. Cuttlebug does embossing no cutting. thank you. can you tell me what machine uses these files for cutting?